Ruth "Momma" Dietz Eni became the face of the deli meat and cheese maker's advertising about a decade ago. She died Friday at the age of 94. Ruth “Momma” Dietz Eni, 94, a working mother and grandmother who led Dietz & Watson as chairwoman and a decade ago became the well-known, bespectacled face of the Philadelphia meat and cheese company’s advertising, died Friday at a Mount Holly hospice following a stroke. Asked once to name a signature career achievement, Mrs. Eni told a food industry trade publication that she was most proud of her role in the ad campaign, which featured her likeness on billboards and her voice in radio spots. Mrs. Eni was a mother of three and grandmother of eight who held bachelor’s and master’s degrees from the University of Pennsylvania. Her granddaughter Lauren Eni said Momma Dietz joined the family business about 1950 when it was rare for women to hold leadership positions in growing companies. 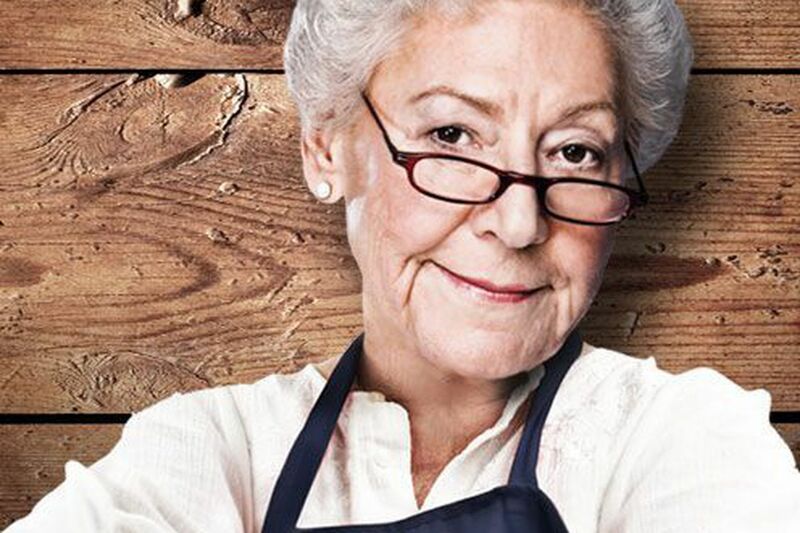 When Dietz & Watson decided to feature a family matriarch in its advertising, the company had planned to hire an older actress to play Mrs. Eni. But when the notoriously frugal chairwoman learned of the cost, she nixed that idea and volunteered to play herself despite her shy personality. Not only did she appear in the company’s advertising, she also frequently traveled across the country to meet clients and customers. Mrs. Eni was willing to hop on a plane and travel to California for business even after she turned 90, Lauren Eni said. “She took the job so seriously and was willing to do whatever it took to help the company,” said Mrs. Eni’s only granddaughter. Mrs. Eni was born in Philadelphia and lived most of her life in Medford Lakes with her husband of 45 years, Louis, who died in 1996. Recently, she had become a resident of Moorestown. She was a lifelong lover of animals who always fretted about stray dogs being too chilly, and had a special relationship with her daughter’s bichon frise. Although Mrs. Eni’s death was sudden, Lauren Eni said the family is grateful that she lived such a long, healthy life and that they got to celebrate her 94th birthday just a few weeks ago before she fell ill.
For Mrs. Eni, it was all about family to the very end. Her three children -- Dietz & Watson executives Louis Eni, Christopher Eni and Cindy Yingling -- were by her bedside when she died. Mrs. Eni’s funeral services will be private. Memorial donations may be made to Samaritan Healthcare & Hospice Development Office, 5 Eves Dr., Suite 300, Marlton, N.J. 08053 or at https://samaritannj.org/giving/donate-now.